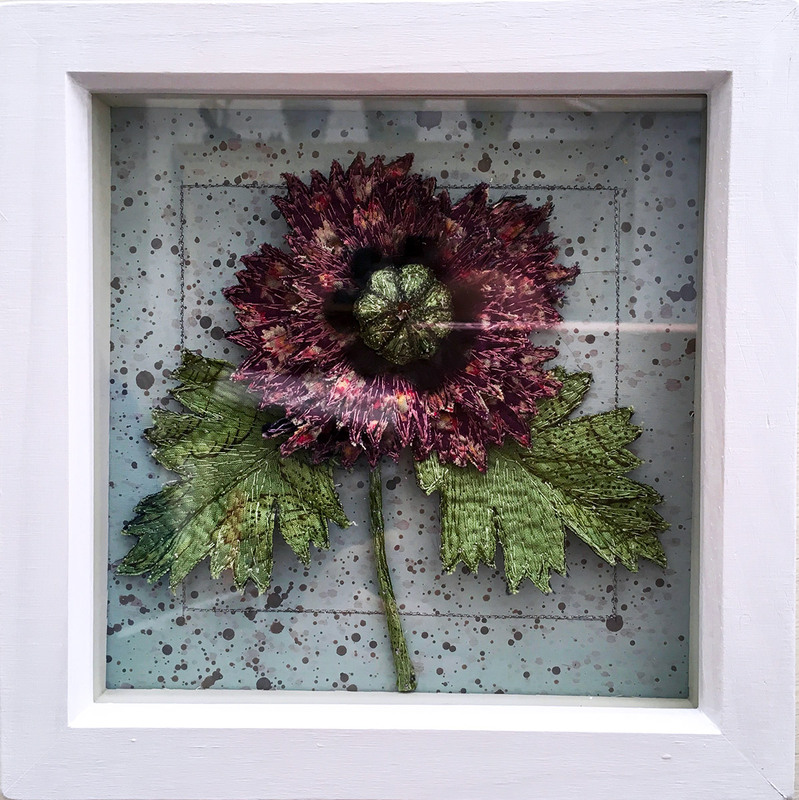 Box-framed textile art. 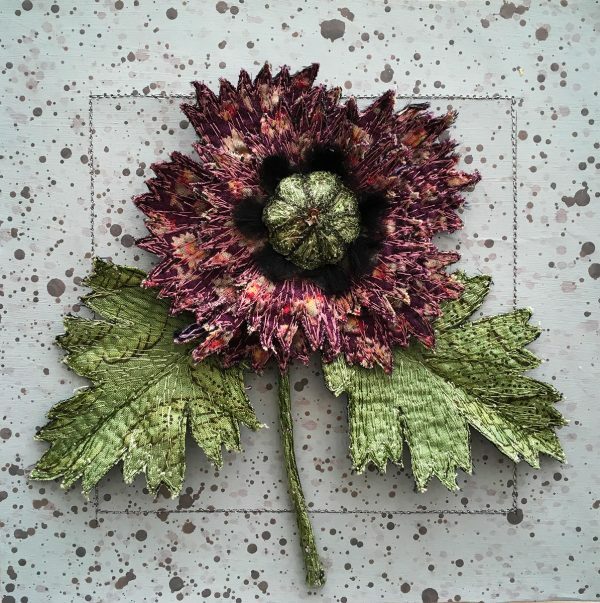 Machine/hand embroidered flower, made with vintage Laura Ashley fabric. Stitched, hand-painted paper background.